Barcelona superstar Lionel Messi and his father Jorge have lost their appeal to Spain’s Supreme Court against a 21-month prison sentence for tax fraud. The 29-year-old, five-times world player of the year, was found guilty by a Barcelonacourt last July on three counts of tax fraud between 2007 and 2009, resulting in a suspended 21-month prison sentence and fine of €2million (£1.75m). Messi’s father Jorge was given the same sentence and ordered to pay a fine of €1.5m (£1.3m). Spanish law is such that any sentence under two years for a non-violent crime rarely requires a defendant without previous convictions to serve jail time. Messi, 29, and his father defrauded the Spanish tax office of almost €4.2m (£3.6m) from 2007-09 by using a web of shell companies to avoid taxes on income from the player’s image rights. 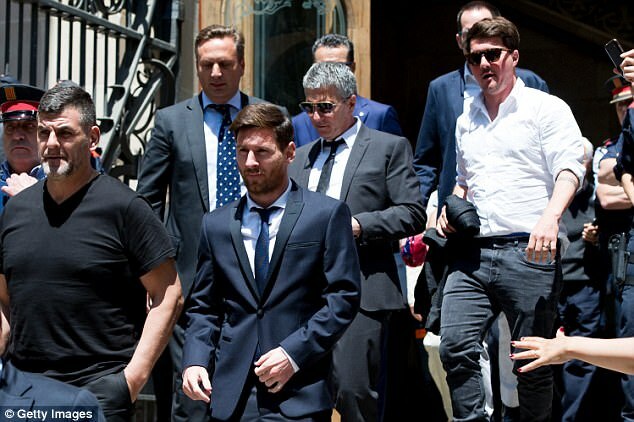 Tax inspectors testified during the case that they found evidence that Messi’s father used companies in countries such as Uruguay, Switzerland and Belize to reduce tax on the player’s income from image rights. Woah, so Messi is going to prison for 21 months for tax fraud? Erm, no. 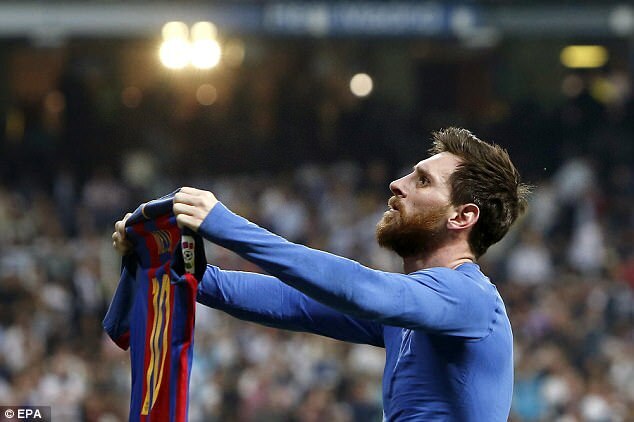 In Spain, any non-violent sentences under two years tend to be suspended, which fits the bill for the Messi case. Any further indiscretions and he will be behind bars but for now he is free to keep on scoring goals. Let’s go back a step here, how did it come to this? Spanish authorities accused Messi and his father Jorge of using companies in countries such as Uruguay, Switzerland and Belize to reduce tax on the player’s income from image rights. In court Jorge said he was told by legal advisors that the practice was legal while Lionel himself denied any knowledge of the financial dealings. So Messi didn’t know anything? Was he found guilty of tax evasion today? No. Today was the verdict of his appeal to the Supreme Court, he was sentenced back in June last year. The appeal was heard in April. And what was the sentence handed out to Messi and his Dad? Both men were given 21-month sentences. Messi was fined around £1.75million while Jorge was fined £1.3million. So their appeal was rejected outright? Not exactly. Jorge Messi’s sentence was reduced to 15 months from 21 months because he had handed back some of the money owed. He’ll have the chance to end his season on a high when Barcelona take on Alaves in the Copa del Rey final on Saturday. It’s been a tough season for the 29-year-old who, despite finishing La Liga top scorer couldn’t help his team win a trophy, either at home or in Europe. That could change on Saturday. Messi’s father said he was told by a legal adviser that the practice was legal. During court proceedings, Messi insisted he had little knowledge of his financial affairs. ‘I was dedicated to playing soccer,’ Messi said. The Supreme Court did rule that Jorge Messi’s sentence be reduced from 21 months to 15 months after he paid back some of the money he owed. 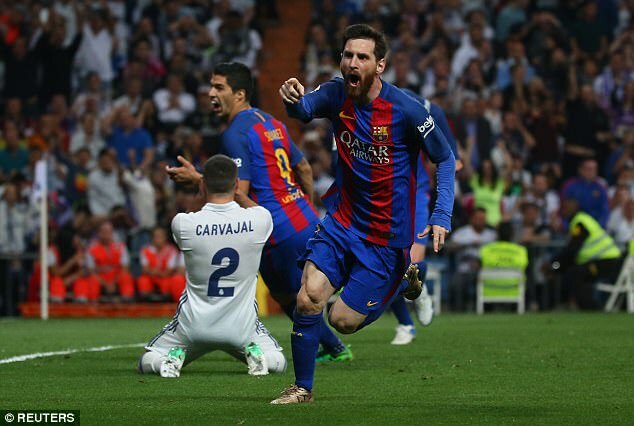 Messi finished the Spanish league season as the top scorer with 37 goals but couldn’t help Barcelona beat Real Madrid in the title race. Madrid won the title by three points and next take on Juventus in the Champions League final in Cardiff later this month.